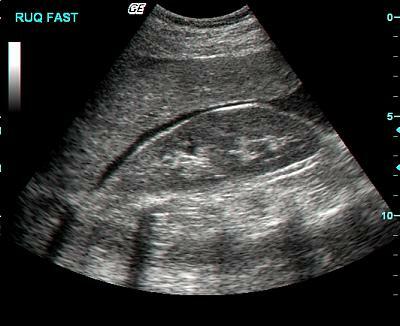 I am a big fan of the use of ultrasound in emergency medicine. It appears to combine my previous statement about liking medicine and technology. There has been an explosion in published work on it and it seems that there’s nothing in medicine that you can’t stick and ultrasound probe on. And what I like about it is the sheer availability of resources on it. Go to You Tube see what you can find. There are a range of web sites providing quality videos and tutorials – all for free. This is open source at its best – this is what these guys are all about. I have quite literally done things to my patients solely because of stuff and skills I learnt off the internet. The other day I used a technique I learnt from an online journal article to glue a friend’s child’s head closed using only superglue and hair as suture material. I started using a whole new way of anaesthetising hip fractures following guidance I found on You Tube. I am a big fan of being self-taught. If you are willing to put the time and energy in, you can attain all kinds of skills in medicine away from any training programme. Now of course there is a right and proper process to go through to ensure safe application but the knowledge is free. Just get out there and look.